Produced by Mammoth Screen for BBC One, Malorie Blackman’s young adult series Noughts + Crosses began shooting in South Africa in November 2018. Adapted into six, hour long episodes by Toby Whithouse (Being Human), Lydia Adetunji (Riviera), Nathan Price (Tin Star), and Rachel De-Lahay (Kiri), the series tells the tale of young love in a dystopian world where racism divides society. 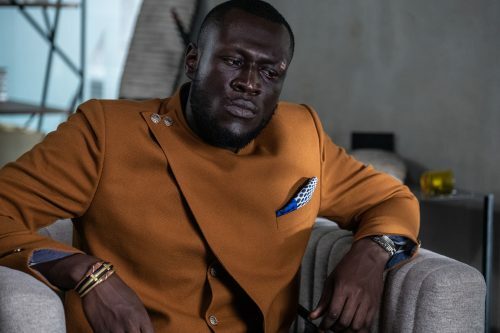 It was recently announced that British musician Stormzy (pictured) will play newspaper editor Kolawale, a character created for the TV series, "As a diehard fan of Malorie's novels, being a part of this important show is a dream come true". Executive producer Preethi Mavahalli, Mammoth Screen adds: "As an icon of black British culture, we are honoured to have Stormzy play a part in this adaptation of a novel he's such a fan of." The UK and South Africa’s co-production agreement signed in 2016 has strengthened the established relationship between the two countries. Since the co-production agreement came into place, series eleven of BBC One’s Doctor Who shot on location in South Africa, as did Neil Gailman’s Good Omens. British television series shot in South Africa can access a rebate that amounts to 35% of the first ZAR6 million qualified production expenditure, and 25% thereafter. At least fifty percent of the schedule must be undertaken in South Africa, and a minimum of fourteen days must be filmed in South Africa. Minimum budgets require to access the incentive stands at ZAR2.5 million. International projects that film in South Africa without the co-production agreement can access a 20% Cash Rebate system applies to productions that shoot more than twenty-eight days in South Africa, shoot 50% of the schedule is shot in the country and spends at least ZAR12 million. Other international work to have been carried out in South Africa includes Monster Hunter, a video game adaptation from Constantin Films. The country also offers a 22.5 – 25% post production rebate.